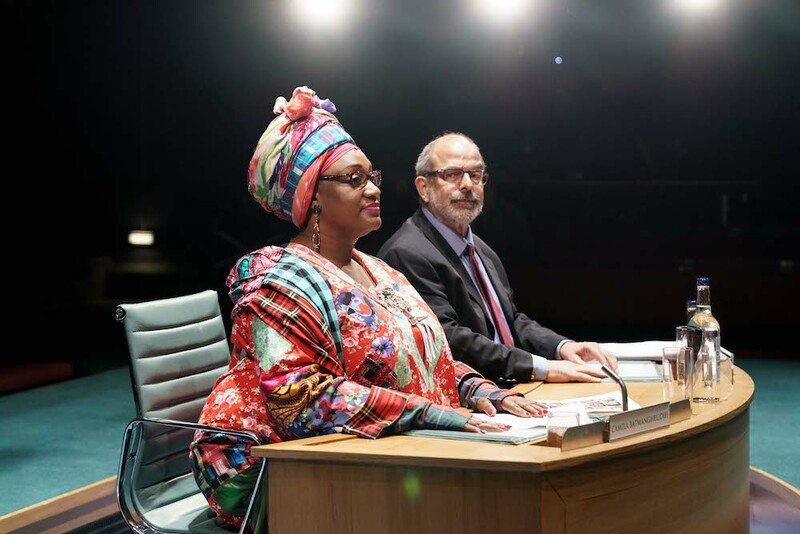 A memorable 2015 parliamentary select committee hearing asked Kids Company CEO Camila Batmanghelidjh and chair of trustees Alan Yentob whether the organisation was ever fit for purpose. Tom Deering, Hadley Fraser and Josie Rourke’s new verbatim musical – think This House meets London Road – asks the same not just of the charity, but of the political system itself and the way we treat the most vulnerable in this country. This entry was posted in Journalism, Theatre and tagged alan yentob, Camila Batmanghelidjh, charity, children, committee, donmar warehouse, government, hadley fraser, josie rourke, kids, kids company, london, musical, parliament, politicians, review, select committee, social care, theartsdesk, theatre, tom deering. Bookmark the permalink.